. 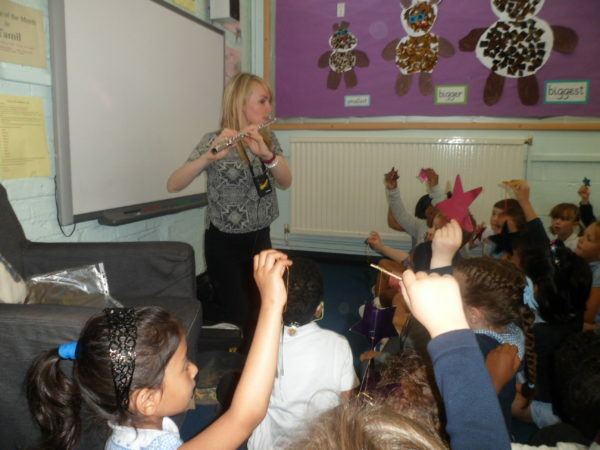 Ruth runs music workshops in schools, communities and for various organisations. Her particular strength is bringing everyone together, and has a specialism in making activities quick and easily understood to deaf children/adults. 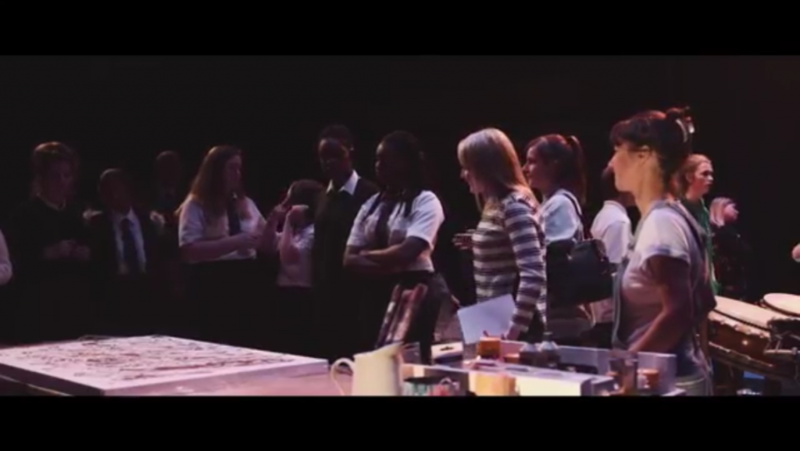 With over 15 years of experience – workshops can be tailor made for day events, short/long term projects, introduction to music, or music working with visual arts. I’ve created performance show-case events. I am very happy to work within the school’s curriculum. I also give talks and flute performances. Children are given an opportunity to see real notation and compose their own music! Please contact me to discuss ideas. Ruth uses speech, British Sign Language, Sign Supported English, Makaton, visual aids. Ruth has also worked with special needs, blind and deaf blind children. Music workshop at the Lyceum Theatre on the theme of Lion King with Mousetrap and Handprint team.